Zach Kent is a stormwater engineer for Modular Wetlands in Oceanside, California. We learned about Modular Wetlands’ urban wetland unit in our case study, “Water Quality Retrofit and Retaining Wall Remediation.” We've partnered with Kent to provide a perspective on some dynamics within the stormwater management industry over the last decade, including new processes and technologies designed to meet higher regulatory standards. Civil engineers once were trained to simply move water safely from a project site. Now civil engineers must satisfy at least two potentially competing requirements: to move water safely from the project site as before and to provide stormwater quality control as part of that process. The quality control requirement is ever changing and becoming more stringent. Higher Standards: Getting on the "Treatment Train"
The Environmental Protection Agency (EPA) requires operators of municipal stormwater conveyance systems to obtain National Pollutant Discharge Elimination System (NPDES) discharge permits, since these systems are generally considered point sources for pollutants regulated by the Clean Water Act (CWA). This article was written with a focus on the state of Wisconsin, and it provides a good overview of changes in national stormwater management regulations since the CWA was promulgated. 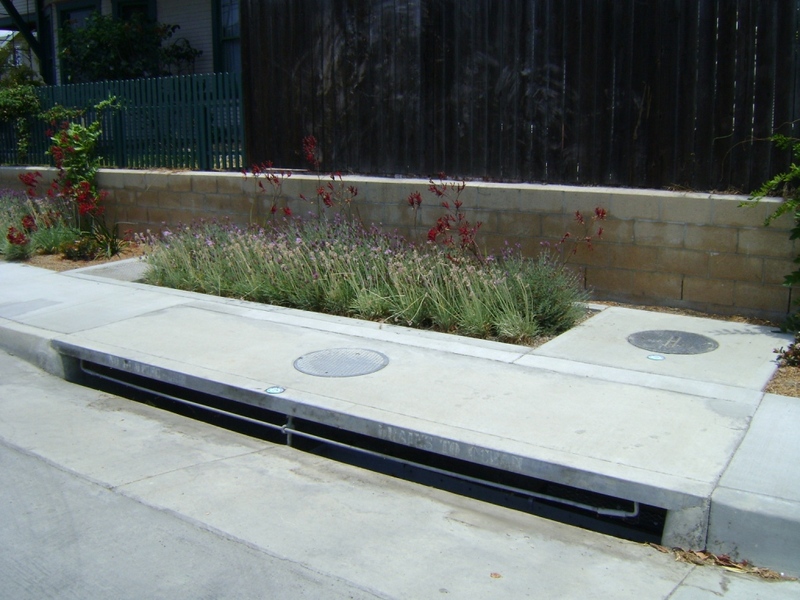 Part of the current permitting process requires operators (of municipal systems serving over 10,000 people in this case) to develop a stormwater management plan that includes six Best Management Practices (BMPs) for their stormwater conveyance operations: Public Education, Public Involvement, Illicit Discharge Detection and Elimination, Construction, Postconstruction, and Pollution Prevention/Good Housekeeping. Site-specific stormwater treatment standards might vary from the EPA’s national standards, depending on local jurisdictions, site conditions, and the status of the natural waterways into which the stormwater is discharged. Numerous online references (with the primary source being the EPA website) offer extensive guidance on stormwater discharge standards as part of their NPDES permitting process. Total Suspended Solids (TSS). One author provides a helpful definition for what’s included in TSS: particles derived from rocks, biological materials, and chemical precipitates. It can include pavement dust and particles, atmospheric dust, natural soils, traction sand and cinders, vehicle rust particles, brake pad and tire dust particles, trash, and plant and leaf material. TSS in stormwater can result in significant obstructive deposits in the conveyance systems and natural waterways into which it flows. 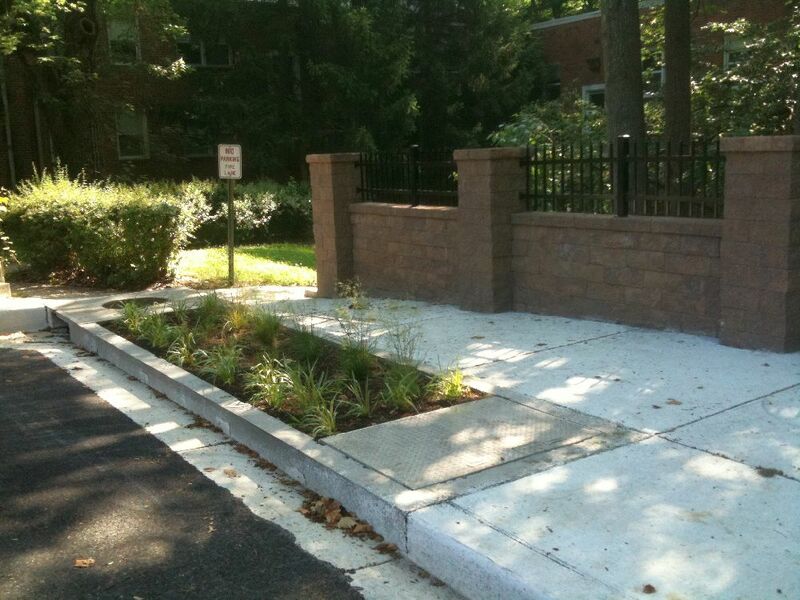 A common stormwater treatment standard calls for removal of 80% of TSS. Oil and Grease. Oil and grease (from restaurants, automobiles, homes, etc.) can cause blockage problems in stormwater conveyance systems. Often suspended in stormwater at higher temperatures, oil and grease can coagulate and harden in pipes and orifices. Oils and grease also provide a food source for the growth of bacteria. Trash and Debris. The main concern with trash and debris in stormwater is that, eventually, the stormwater and its contents will flow into rivers, lakes, and oceans. Marine life is harmed by plastics, containers, and debris that can snare animals and impair their mobility or damage their habitats. Heavy Metals. Heavy metals in stormwater come from the wearing of automobile brake pads, mining wastes, and industrial processes, to name a few sources. Trace amounts of some heavy metals are necessary for normal health in many animal species, but substantial amounts of most heavy metals in living tissues are damaging. Familiar examples include lead poisoning (particularly in small children) and mercury poisoning, which can occur from excessive consumption of seafood. Keeping stormwater free of heavy metals prevents them from accumulating in our natural waterways and food chain. Nutrients. Due particularly to the use of more advanced fertilizers in our gardens, lawns, and farms, the presence of phosphorus and nitrogen in stormwater has become a real concern. Such nutrients aid the unwelcome growth of algae and harmful bacteria in natural waterways that receive stormwater outflows. In addition to quality control standards across these five and other categories, regulatory agencies are moving toward a preferred “treatment train” (a series of quality control processes) approach. For practical reasons, the wastewater treatment industry adopted this idea long ago, with screening, filtering, settlement, and removal of biochemical oxygen demand (BOD) occurring in their required sequences and timeframes. The last phase of wastewater treatment is usually discharge from the wastewater treatment plant into a natural waterway. One challenge facing stormwater management’s adaptation of this “treatment train” principle is the awareness that wastewater is generated by human activity, which is relatively predictable throughout daily life in a modern society. In contrast, stormwater management is based on nonhuman nature. It is therefore much more unpredictable. Storm event frequencies, corresponding rainfall intensities, and run-off amounts can be projected but have much higher levels of uncertainty when compared historically to actual storm events. The flow-splitter concept highlighted in our previous case study is an acknowledgement of this point. Likewise is the high-flow bypass piping contained within Modular Wetlands’ urban wetland unit. 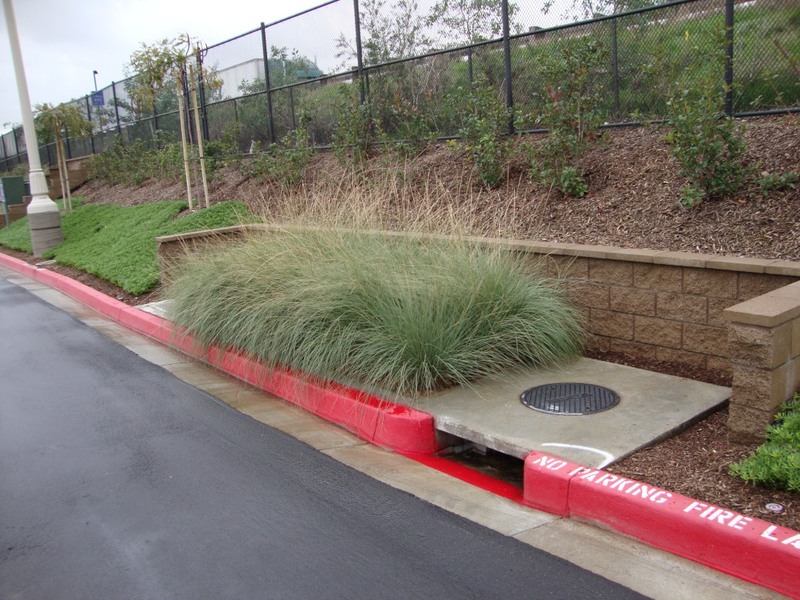 The unpredictable nature of rainfall events requires these fail-safes to be incorporated in modern stormwater management designs to avoid damage to system components or property at the project site. Kent jokes that, in a few years, it won't surprise him if we are using reverse osmosis to treat stormwater. Even if Kent’s speculation doesn’t exactly come to pass, the point he makes is very thought-provoking. 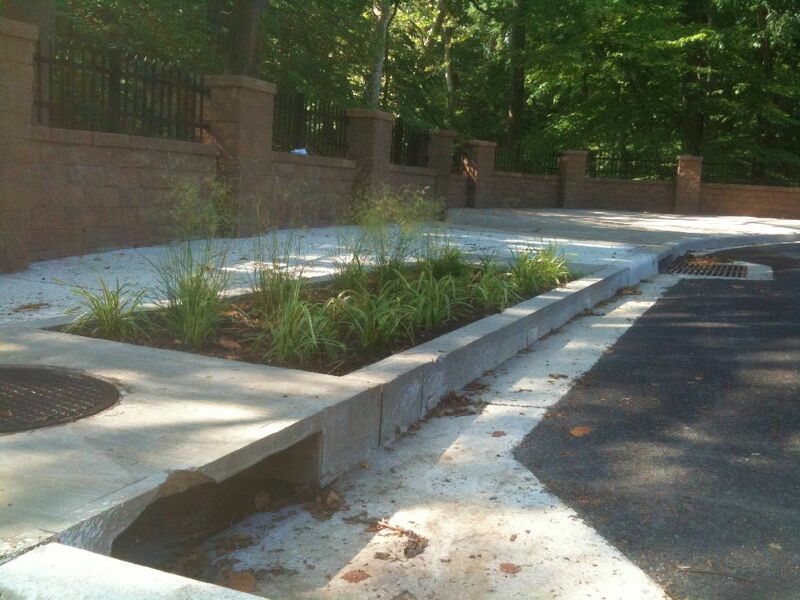 The regulatory landscape for stormwater treatment has changed dramatically in the past decade. If we have not already, we soon will reach this point in some jurisdictions and applications: We are driving stormwater discharge standards toward a point where discharging treated stormwater into a natural waterway may not be economical . If stormwater cannot readily be treated for drinking water in the future, it could more readily be treated for reuse in showers, lawn care, washing machines, and swimming pools. Arguably, stormwater discharge standards at these levels of practical secondary use have already been achieved in many jurisdictions. Aside from any potential domestic reuse, today’s green stormwater treatment efforts are not only socially conscious, aesthetically pleasing, and compliant with regulations -- they’re also good business. In many cases, tax credits can be obtained for stormwater projects that employ these systems, potentially driving work site costs through a threshold of project profitability. In other cases, stormwater that was previously deemed undesirable and thus conveyed from properties is now used on site to make various industrial processes (i.e., cooling water ponds, firefighting water storage) more economical as a benefit of meeting higher regulatory standards. As a note of caution, Kent has seen stormwater designs that fixate on quality-control interests but fail to reflect a project’s primary objective, conveying stormwater safely. No matter how green a stormwater management plan is, it must still protect people and property above all else. Stormwater-flooded parking lots and buildings are a completely unsatisfactory outcome, regardless of tax credits and attempts at environmental conscientiousness. Usually, three stakeholders are involved in decisions regarding stormwater management plans. The engineer must figure out how much water might be generated at the project site, then satisfy the safety and quality control objectives required to handle it within existing site constraints. The project owner must focus on the initial installation costs of the required stormwater management infrastructure and any maintenance costs. The regulator must approve the overall plan as meeting all required standards. These relationship dynamics have inspired technological solutions that are more economical and effective. 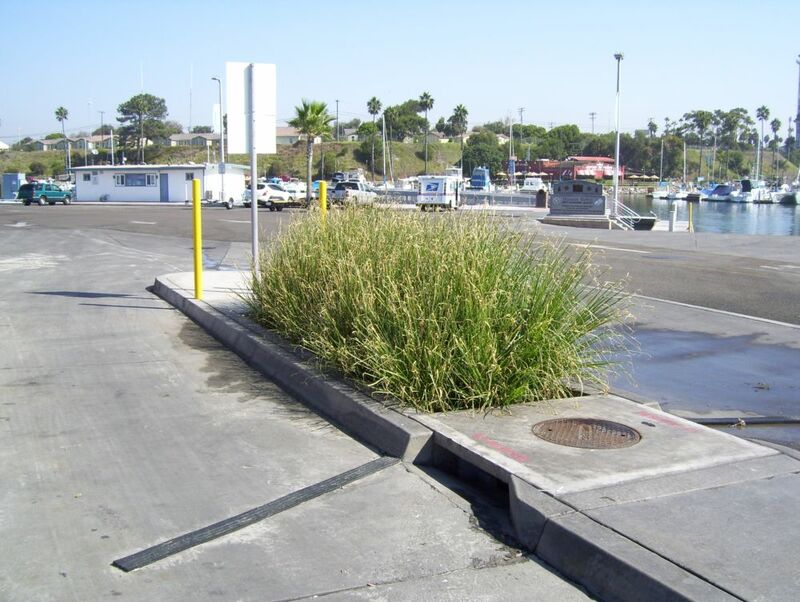 In order to help meet newer regulatory requirements for nutrients and heavy metals in particular, many stormwater management designs have relied on biofiltration, which involves flowing stormwater through a living medium, usually composed of plants and bacteria. 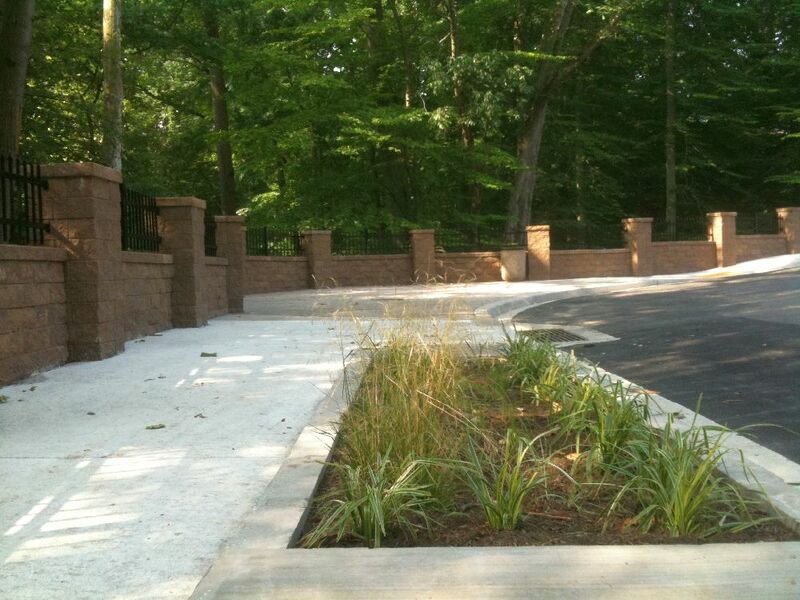 Bioretention is the desired benefit of the biofiltration process. For example, undesirable nitrogen-based compounds can be absorbed and broken down by beneficial bacteria into nitrogen gas and harmless unregulated compounds. Many “good” bacteria thrive on and near plant root systems. Additionally, many nutrients and some heavy metal contaminants can be captured by the individual root systems of growing plants. Research has shown that flowing stormwater horizontally through a manufactured wetland results in much greater bioretention, as well as lower maintenance costs. Horizontally flowing stormwater will contact plant root systems to a much greater degree than vertically flowing stormwater. Horizontal stormwater flow also results in lower maintenance costs for the filter media (man-made filters, gravel, and soil) compared to similar water volumes that are applied vertically. Vertical flows also require management of water pressure head throughout the system. For these reasons, subsurface horizontal flow wetlands have become very popular in Australia in recent years, and Kent expects the manufactured horizontal flow wetland to become more popular in the next few years in the United States. Modular Wetland’s urban modular wetland unit reflects many of these concepts and was developed in response to the significant changes in the stormwater management industry. 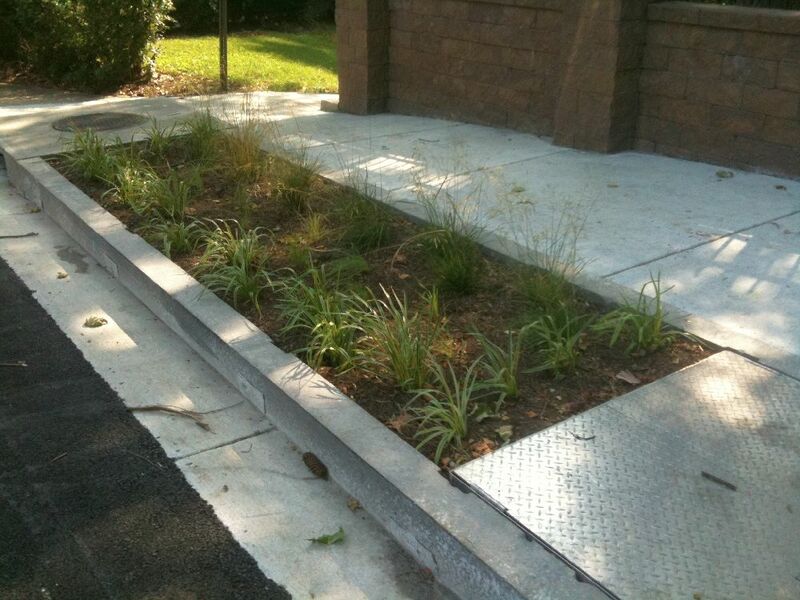 Stormwater treatment technologies are sure to remain dynamic in the coming years as standards continue to evolve. Zach Kent was a technical contributor to this feature. 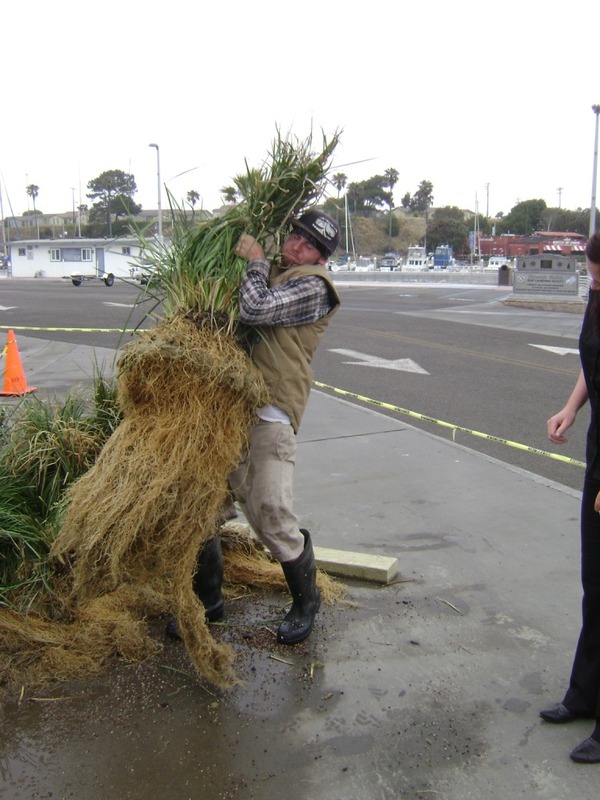 He is a stormwater engineer at Modular Wetlands in Oceanside, California.